The Great Horde is a steppe tribe in far Eastern Europe, one of the remnants of the Golden Horde and a strong claimant to its legacy. Centuries ago our Great Father united our ancestors in their ancient homeland. He died leaving his sons to squabble and split his mighty empire into petty fiefs, small, weak and unworthy of his legacy! The disjointed remnants still sweep across the steppes instilling fear in the hearts of his enemies just like the Great Mongol army once did. No more! A worthy people still carrying the banner of his legacy ride across these lands! While we now bow before a new God, the blood of Genghis Khan still flows through our veins. We are the Golden Horde and we are coming for what is rightfully ours! Golden Horde does not exist. has at least 20 provinces. has at least 30 provinces. removes all provinces from the HRE if it is a member but not an elector or the emperor. Pontic Steppe, Nogai, Lower Yik, Bashkiria, Kazan, Samara, Ural, Ishim, Yrtesh, Ob, and Kazakhstan regions. The Great Horde starts in arguably the best position to reunite the Tatar tribes and reform into the Golden Horde. This position the Great Horde finds itself in does mean that starting attitudes of its neighbors vary wildly. But in general Uzbek and Nogai are most likely to have a 'friendly' attitude towards the Great Horde and are thus suitable for alliance. It is not uncommon however that the Nogai and Uzbek hordes rival one another, making alliance with both difficult. At times Kazan and even Crimea could be 'friendly' as well, but most of the time these nations will have either a 'rival' or 'hostile' attitude towards the Great Horde. These are the two primary hordes to conquer and possibly raze. Trouble can quickly arise with these two nations unfortunately. Kazan finds itself in alliance with Uzbek when both rival Nogai, which is a common scenario. This isn't worth a restart if other conditions are good however, as given enough time, Uzbek often falls apart under rebels which renders them unable to support Kazan militarily but leaves them open for looting and ducats in peace deals. What is very much worth a restart is if Crimea allies or becomes a march under the Ottomans. Having such a early game powerhouse on the Great Horde's borders very much spells the end for any ambitions of becoming a Golden Khan. Ryazan to the northeast can also vary: at times being 'hostile' or 'threatened', which allows for an easy way to turn them into a tributary. This does not come recommended as it is much easier to simply fully annex the small nation and use the lands to gain the 'Feudalism' Institution more quickly.Muscovy is the single greatest threat to the Great Horde and is nearly always 'hostile' or else 'neutral'. Lithuania, if hostile and independent, can cause quite a bit of trouble for the sons of Jochi. More often than not however, they fall under union with Poland who often has more pressing matters to deal with than the Tatar hordes of the east. Circassia and Gazikumukh to the south are two, small, weak nations that are either 'hostile' or 'threatened' by the Great Horde. Annexation and razing comes recommended but vassalization in the form of tributaries can be an option if desired. Genoa to the southwest should be left alone unless the Great Horde proves strong enough to handle the numerous allies and protection of the Emperor that the republic enjoys. Waiting for the 'Shadow Kingdom' event to fire in the 1480' to 90's is recommended to isolate them. The Ottomans, if relations are improved enough, can easily be coaxed into a marriage and then eventual alliance. This is a top priority for the Great Horde as it largely eliminates the chance of Muscovy or Lithuania initiating offensive wars and acts as a powerful coalition shield; which is useful considering that the Great Horde must expand constantly in order to survive. The Great Horde simply has a terrible Khan and a barely passable heir. The sooner the starting Khan is replaced the better and turning him into a general to lead the armies of the Khanate is wise. Before un-pausing interaction with the 'Tribes' estate should be done in order to gain a general, manpower, and cavalry for the upcoming wars. Spies should also be placed immediately in Crimea and Ryazan to declare war as soon as possible in order to minimize the chance of an Ottoman alliance in Crimea's case and Muscovite annexation in Ryazan's case. The trade situation is poor for now but setting a Merchant to collect in the Astrakhan trade node would bring in a few scraps of ducats per month. Hiring advisors at this point is not worth the expense as the natural abilities of the Nomad unit type coupled with the strengths of the 'Steppe Horde' Government make the Great Horde's armies fearful in battle. Setting a national focus can be a difficult question and it falls between admin and mil for the benefits. Setting focus to admin allows for the rapid coring of provinces and the option to leave certain lands un-razed as well as gaining an idea group quickly. Setting the focus to mil allows for the tech advantage to be gained over the Great Horde's principle enemy: Muscovy. Even just a few months of this tech advantage would allow the Great Horde to easily stack-wipe the Muscovite forces, making a total victory over them very attainable. Regardless of the choice one of the two must be made as the starting Khan is simply too inept for regular monarch point generation to occur. The war against Ryazan is extremely simple but showcases the need for the Great Horde to split up its forces: one army for the field containing the cavalry and a few support infantry and one army for the sieging containing all infantry and a few cavalry if desired. This is needed for this war in particular because the army of Ryazan will often run away from one large Tatar army but if all provinces and Ryazan itself is occupied by the sieging army, then the field army can corner the Ryazanian forces and crush them. 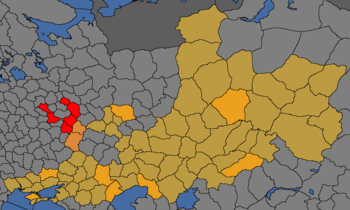 Full annexation and full ducats should be demanded, making sure Ryazan does not recruit mercenaries will ensure that a good amount of gold will be reaped from the peace deal. Razing this area is not recommended as these provinces are crucial for attaining the Feudalism Institution. The war with Crimea is a bit more complex. If Crimea has not allied themselves to the Ottomans then they will either be allied to an Anatolian Beylik, Kazan, or both. If allied to a Beylik such as Karaman or Dulkadir then these allies can be easily ignored and stack-wiped once reaching steppe territory. Things become more complicated if Kazan is involved. In either case, rushing and occupying all the Crimean provinces and wiping the army with the cavalry force is essential. Once all lands except the province of Crimea itself has been occupied leave one troop on the fort in order to prevent Crimea from recruiting troops. Then reassemble the armies near Sarai and rally against the Kazani troops who by now will have penetrated into Great Horde lands. After defeating the invading troops occupy the western half of Kazan while simultaneously sieging the capital. After capturing the capital occupy the rest of the nation and demand gold, reparations, and humiliate them. No land should be taken as the Great Horde will have its hands full with the annexation of the Crimean lands to come. Once Crimea is isolated simply siege the capital and fully annex them. Destroying the fort in Crimea is recommended as it is very far from potential targets at the moment and costs many ducats in maintenance. Whether or not to raze these newly acquired territories will be covered in a separate article later in this guide. If Circassia and Gazikumukh do not have powerful allies than use your overwhelming forces to siege and stackwipe their forces. Be wary of mountain attrition however, as manpower will be the biggest inhibitor in further expansion. Full annexation and razing is recommended for these lands. The first war with Muscovy will be tough: do not take this conflict lightly and carelessly or utter defeat will occur. Sometimes Uzbek or Nogai may be able to fight in this war but their support will be minimal and its better off assuming the Great Horde shall stand alone in its struggle with the Muscovites. Using the 'Subjugate Ryazan' mission the Great Horde will have permanent claims over much of Muscovite territory. The claim of interest is the province of Kasimov. This province has steppe terrain and if combined with the age ability of 'Adaptive Combat Terrain' will grant a significant bonus to fighting in this province which by making it the war goal, the Muscovite forces will regularly try to retake to reduce war-score. Alternately the 'Tribal Conquest' CB may be used as much of this war will be battling Russian forces rather than sieging forts. Whichever is used the first stage of this war will be to simply draw the Russian forces out onto the steppe and stack-wipe forces that are 1-8k in strength with the field force whenever possible while sieging a fort (preferably Moskva itself) with the siege force. If one wishes to be on the more cautious side then the sieging force can be used to occupy provinces outside of a zone of control and to stack-wipe extremely small forces (1-2k forces). The goal of the first stage is to whittle down the Russian manpower and income by utilizing the superior fighting ability of the Tatar troops. Checking the Muscovite manpower through use of the ledger is needed before proceeding to the second stage of the war: fighting Dmitry, who is an excellent general and will spell the downfall of any Tatar force if not dealt with cautiously. If done correctly then the Muscovite forces will be without or nearly without any manpower and are now relying on mercenaries to fight this war. Only then is engaging the main Muscovite force the next course of action. If possible try to lead the main force deep into the steppe in order to prevent the army from retreating past any Russian forts. Stack wiping this force is not likely but winning is more than possible if terrain is taken advantage of and if the field & siege forces combine to fight. After winning the initial engagement follow the army relentlessly to make sure they do not survive. After this second stage is complete and the main stack(s) have been defeated then the third stage of the war will commence: sieging and looting. By this time if the sieging army has actually been sieging then a few forts will already be under Tatar control. Siege forts with the sieging force while the field army goes to fortless provinces to occupy and loot. Achieving maximum warscore is crucial here as this war must eviscerate Muscovite power as much as possible. Take as many provinces as the war-score allows with an emphasis on provinces with forts and the Moskva area. While also demanding reparations to pay off any accumulated loans taken during the war, The remaining wars with Muscovy should occur as soon as the truces expire and should follow the same three phase plan discussed previously. The sooner the Tatar yoke is established over the Russians the more quickly the Golden Horde may be formed. After the wars and conquests with Ryazan, Crimea, and Muscovy the wars with the remaining Tatar hordes should be on the easier side. But do not fall into a false sense of security as these nations are of the same steppe as the Great Horde and as such can hit just as hard. Kazan should be the next target of the Great Horde's ambitions as they are already hostile and most likely a rival. By this point Kazan might have snagged an alliance with Uzbek or Nogai but by simply allying the rival of Kazan or whichever ally they possess the Great Horde can easily bring another horde to support them. While the war against Muscovy was cautious and deliberate, the wars against the Tatar hordes need to be aggressive and bold. Breaking down the siege forces into smaller forces to occupy the greatest amount of Kazani land while sending the field army against the main Kazani force is the opening move to make in this war. After occupying all provinces west of the 'Kazan' province sieging down this capital is essential. While the siege army is at Kazan, the field army will do a combination of stackwiping small forces, looting occupied provinces, and moving against the Kazani ally. After capturing Kazan, sieging down the rest of the Kazani lands is needed to prevent small forces from recapturing territories. After this is done move onto the Kazani ally, sieging the capital with the siege army and stackwiping the main force with the field army until the desired warscore is acquired. Peace out the ally with reparations, ducats, and annul the alliance with Kazan for later conquest. Then demand as much gold as possible from Kazan while capturing as much territory with the goal of taking the province Kazan itself. Kazan needs to be taken in the first war at all costs; it is a center of trade in a fairly wealthy node which will bring a fair amount of income and deprives Kazan of one of their very few forts and their highest value province. By the time this war is finished the Great Horde will most likely need to recover a bit in order to prepare for the second war against Muscovy. The second war should still follow the same three phase strategy as listed before as at this point Muscovy is still a force to be reckoned with. After this second war with the Muscovites, finish off Kazan and then immediately go against the one Tatar horde that isn't the Great Horde's ally. The same aggressive strategy applies as before with this war. If this war is against Uzbek make sure to grab Tyumen as this is a required province for the formation of the Golden Horde and often becomes under the control of Kazakh rebels. 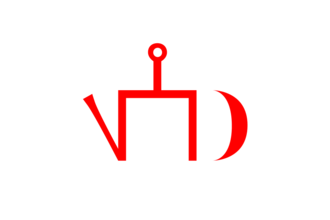 If this war is against the Nogai then capture the province of Nogay for the Golden Horde formation and split the horde down the middle to disrupt them greatly. After this first war against Uzbek or Nogai, wait for the truce with Muscovy to expire than engage in the third war against them, by now a more aggressive strategy will work with the Muscovites who shall quickly crumble. While this war with Muscovy is raging break the alliance with whichever Tatar horde finds itself in alliance with the Great Horde in order for the truce to expire. After finishing the third war against Muscovy finish off the ex-ally of Kazan with full annexation. By this point the truce with the old ally of the Great Horde should be close to expiration. Declare war and follow the same war goals against Nogai or Uzbek as discussed previously. A few more minor wars to clean up borders and the Great Horde will finally be worthy of recreating the mighty and prestigious Golden Horde. Razing has both benefits and costs and it is crucial to have a long term plan for the newly acquired territories in order to know when the raze and when not to. In general anything that is not in the Tatar culture group should be razed immediately except for gold provinces and possibly centers of trade (however development through diplo power will keep these centers strong). This not only gives monarch power, ducats, and Horde unity but also makes the provinces cheaper to core (due to the lowered development) and spawns smaller rebel stacks (also due to the lowered development). The real debate comes with whether or not lands under the Tatar culture group should be razed; first the facts should be presented. Razing these lands would give all the benefits mentioned previously. Forming the Golden Horde will grant a cultural union of these lands, automatically making all Tatar culture accepted cultures. Accepted cultures provide no negative modifiers to the overall wealth a province generates. So essentially these provinces are inherently more valuable than others due to the lack of negative modifiers. But this lack of razing is going to make coring these provinces much more expensive and admin power will suffer as a result. Ultimately, razing a few Tatar provinces here and there is advised, purely to help mitigate the coring costs while keeping the majority of the lands unharmed as this will pay dividends once the Golden Horde is formed. The choice for the Great Horde for its first idea group is really only between two: Humanist & Administrative. But both should be the first two idea groups for the Great Horde so turning off idea group limitation in the game settings is recommended. The reasons to choose Humanist would be that when coupled with the generic Horde Traditions halve years of Separatism, as well as reducing national unrest, and making expansion into heathen (i.e. Christian) lands easier. The reasons to choose Administrative would be for the reduced coring cost, the increased number of states (very handy for an empire as large as the Golden Horde), and the admin tech cost reduction, which makes keeping up to date in admin tech relatively easy considering that the Great Horde starts with the Hanafi school of Islam. Keep in mind that the spare admin points for even getting to admin tech 5 and unlocking the individual ideas themselves are rare to come by in such an expansionist early game. So by just taking the second idea on Administrative for the reduced coring costs a large amount of admin power will be saved allowing for a relative quick pace to get the second idea group. But if the Christian provinces are constantly revolting and the steppe provinces are sometimes revolting than manpower is certainly going to suffer which would severely limit the Great Horde's ability to acquire new provinces to core in the first place. Another aspect to note is the reduction in separatism and national unrest would make increasing autonomy less frequent which means more productive provinces to keep the coffers afloat. Ultimately the steppe hordes need to pick idea groups which simply support their inherit war machines and subsequently unstable realms rather than enhance their military or diplomatic capabilities. As the Mongol Khanate or the Great Horde, own or have a subject own the Chinese, Russian and Persian regions. This page was last edited on 22 December 2018, at 13:32.